Voice calls and text messages, along with metadata, can be easily intercepted by adversaries, compromising national security, counter-terrorism operations, and corporate intellectual property, trade secrets, and legal and financial transactions. TCC's CipherTalk® provides full-circle military-grade security to encrypt, hide and make anonymous the voice/text in transit. Tapping voice and text communications in transit, intercepting these communications at the microphone before encryption, identifying call parameters, and injecting malicious code into the device are just some of the many threats compromising mobile phone communications. TCC's CipherTalk secure mobile phone is designed with innovative technology to protect against the full range of threats for trusted security of your most sensitive voice and text communications. With innovative full-circle security, TCC's CipherTalk® secure mobile phone provides military-grade end-to-end encrypted and anonymous voice and text communications. Additionally, the encrypted communications are hidden for an additional layer of protection. Our secure mobile phone is FIPS 140-2 certified, has a hardened Android™ operating system, IP firewall, and a permission enforcement agent to protect the physical device. Protect your most sensitive communications from the full range of threats quickly and easily, and from anywhere in the world via GSM or Wi-Fi. 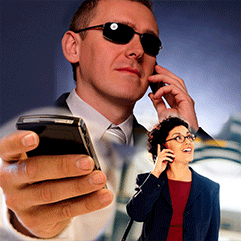 CipherTalk Desktop is a secure voice over IP phone that is interoperable with TCC's CipherTalk mobile phone. 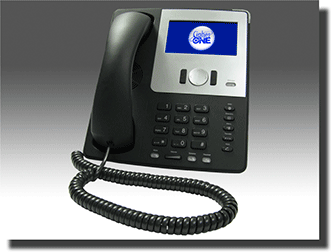 It connects to the IP network over an Ethernet connection and makes and receives secure calls from another CipherTalk Desktop phone or with the CipherTalk secure mobile phone for office to mobile secure voice communications.